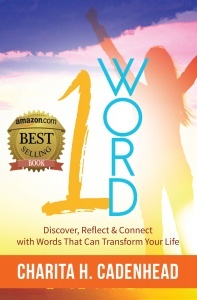 I am gearing up for 1 Word Book II and I’m seeking 14 co-authors to join in on the project. There will be 15 authors including myself. Below you’ll find the concept of the book and I hope that it peaks your interest. If is does, I want you to reach right out and contact me and let’s toss some words around that might be a good topic for you. Helping you to brainstorm is right in my wheelhouse. Even if you can’t think of how to frame the chapter, I’m willing to bet that I can. So check out the details below and then click here to contact me. ways in which your word has impacted you (give brief examples. Remember this book is about how your word can positively impact the lives of people in general). The above bullet points are not all encompassing of what your chapter will talk about, but rather it will serve as a guide. Keep in mind that the intent is to uplift and motivate others without sugarcoating or watering down the topic. For this book, 1 Word Book II, I can tell you that the cost to participate is less than a third of my first collaboration and less than half that I paid for the 2nd book project. Not to worry though, it doesn’t have to be paid all at once. There is a payment plan. I know that you must be thinking, I’m not paying to be in a book and I’m okay with that. Having said that, I know that you’ll only be contacting me if you are serous about participating and not just curious about the cost. So pleases, serious inquiries only. I hope to be hearing from you very soon. 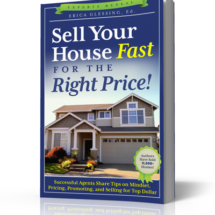 My first co-author project was in 2012 and the book was titled “Sell Your House Fast for the Right Price.” Just so you know, I am a licensed and practicing Realtor® in the State of Alabama. I was contacted in 2011 to participate in the book. I didn’t know the visionary author. She had reached out to me by way of my real estate blog. After researching her and finding her to be credible, I didn’t hesitate for one minute. After all I had always wanted to write a book and my craft was real estate so it was a no-brainer for me despite the high cost to participate (it was over $1000). 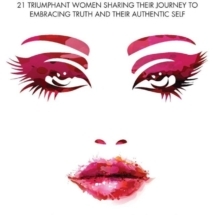 My second co-author project was the I Am Woman Book in 2016. I first answered the call of the visionary author requesting that women post a 1 minute video talking about a single word. You can check out that video here. I guess you could say that was the initial idea for my own book. When I decided to participate in the I Am Woman book collaboration, I wasn’t deterred by the cost to participate. My main concern was writing such a personal story that I had never really discussed with anyone before and I was very nervous about exposing so much of myself. But it was very therapeutic for me and I have no regrets. 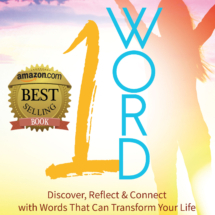 My third book, also published in 2016, for which I served as visionary author, was the 1 Word Book: Discover, Reflect and Connect With Words That Can Transform Your Life. The catalyst for this book was the result of a spiritual analysis that I had taken at church. There was one word that had a great impact on me and still does even today. So the I Word Book II (2019) will not be my first rodeo and you can be confident that if you don’t have experience, I will be there to guide you through the process with ease. While these were my only 3 collaborations, I’ve been invited to several more for which I didn’t participate, not because of cost, but because of timing. I hope that I’ve peeked your interest and that you’ll be contacting me. I look forward to talking with you.